Perennial bestselling author James Patterson explains why more of his highly popular Alex Cross series weren’t adapted into films. Plus, Patterson on working with Morgan Freeman and Tyler Perry. Larry King: One of the great characters that you've written, Alex Cross. You put yourself into the head of a black man. Larry King: Who was a Washington D.C. detective and then now is in private practice. Larry King: How many Cross books have you...? James Patterson: Uh, I lose track. I think it's around 19 now. Larry King: Why only a few movies? I thought there'd be a series. James Patterson: Well, initially you know Morgan Freeman did 'Along Came A Spider' and then 'Kiss The Girls.' And, um, Morgan originally said, 'Well, I don't wanna do any sequels.' And then the first movie did very well and eventually he said, 'Let's do a sequel.' But, that was a little bit of it. And then, um, we just had trouble getting Paramount to get their act together a little bit. I mean, a lot of funny stories. One time I went out there to Paramount, and they were trying to develop one of them. It was called 'Roses Are Red.' And they sent the script to me. The only things from the novel- and this is serious- the only things from the novel that were in the screenplay was the title 'Roses Are Red' and Alex Cross' name. And you'd think that would be an exaggeration but it's the literal truth. So, at any rate, so that's part of what happened. Larry King: But the stories, they lend itself so well to film. James Patters: Yeah, yeah, yeah, you would think. And maybe we'll do- you know, I thought the first two were great. Larry King: They were great. 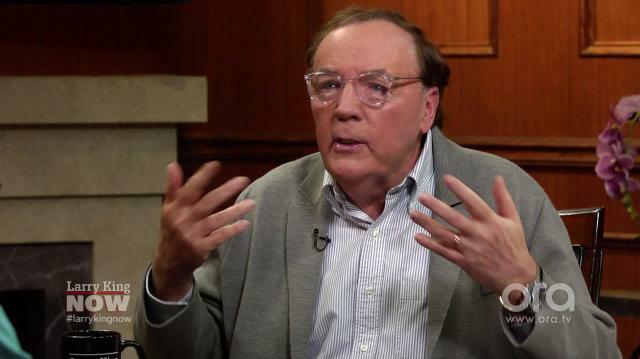 James Patterson: And then we did one with Tyler Perry, which was better than people thought. Tyler, I thought he was a gentleman. He was terrific, he did a nice job. He was there, he was not a prima donna. He really was,he was very nice to work with.